North Korea and South Korea have agreed to restart operations at the shuttered Kaesong industrial zone, Seoul has announced. The two sides set a date for a “trial” restart of September 16 after talks that went through the night, the South’s Unification Ministry said. Work at the complex stopped in April when the North withdrew its workers amid high political tension. 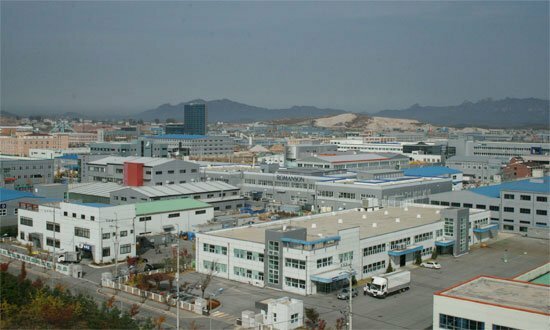 Kaesong industrial zone, just inside North Korea, is home to 123 South Korean factories that employ more than 50,000 North Koreans. Operations will “resume on a trial basis from 16 September”, a statement from the Unification Ministry said. South Korean firms will be exempt from taxes for the rest of the year to offset losses incurred while the complex was closed, it said. The two sides also agreed to measures to make access to the site easier for South Korean businessmen, Yonhap news agency reported. The Unification Ministry also said that the two Koreas planned to host a roadshow to try and attract foreign investors to the zone in October. Allowing foreign investors into Kaesong is seen by Seoul as a way of ensuring Pyongyang does not unilaterally close the complex again. “The institutional foundation has now been laid for Kaesong to develop into an internationally competitive and stable industrial complex,” the ministry said. Pyongyang’s removal of its workers in April came amid high tensions on the Korean peninsula in the wake of North Korea’s third nuclear test on February 12. The test resulted in the imposition of expanded UN sanctions. Shortly afterwards, South Korea and the US launched annual military drills, angering Pyongyang. In recent months, however, tensions have eased somewhat. The two Koreas have conducted multiple rounds of talks on reopening Kaesong, but were deadlocked for some time on Seoul’s insistence that guarantees were needed to prevent any future suspension of operations. Last month, the ministry said a five-point accord had been agreed on re-opening the complex but no date was set. Owners of South Korean businesses at the zone have been calling for a deal and North Korea said re-opening Kaesong was in both nations’ interests. In recent weeks, the two Koreas have also agreed to hold a reunion of families separated by the division of the Korean peninsula after the 1950-53 Korean War. The meeting – set to take place at the end of this month – will be the first such reunion since 2010.